I’m fascinated with some of the new avenues that publishing is taking. 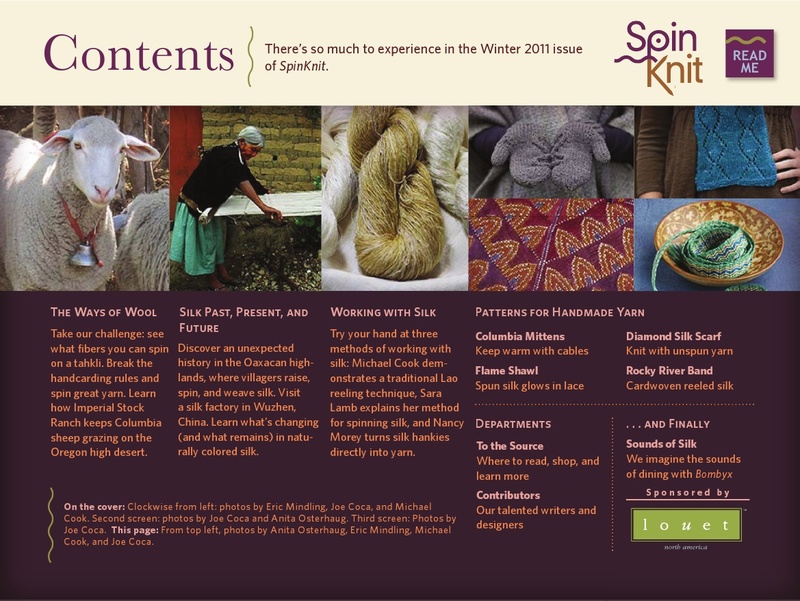 I wrote an article for the Winter 2011 edition of Interweave’s new electronic fiber-arts magazine, SpinKnit. It has cool little galleries for pictures, it has video (not my article, unfortunately – I had trouble trying to record video properly – but some of them do) and it has animated illustrations showing how some of the tricky parts go. Y’all check it out!